Florence Italy train station is going to take you wherever you need to go, and they’ll do it in a timely (and budget efficient) manner. Public transportation is going to be a godsend of sorts while you’re on vacation, especially since you probably don’t know the city itself all too well. Florence is amazing, but it’s very tiny and can get confusing for those who aren’t locals; that’s why maps and train stations are almost mandatory. 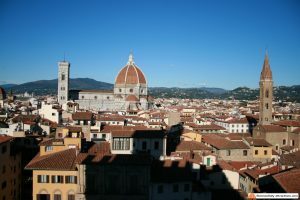 This article should cover everything you need to know about the train stations in Florence, like where they’re located and what they’ve got to offer you. There’s a few different train stations in Florence Italy, but the most important by far and the one we’re going to focus on today is the SMN (Firenze Santa Maria Novella, or Firenze S.M.Novella). It’s the largest train station in Florence, and it connects all sorts of cities to the wonderful Florentine region. Firenze SMN is located close to the Basilica di Santa Maria Novella, few steps away from all the top attractions of the city. The train station of Santa Maria novella is where you will get most of the times when you travel to Florence Italy, unless you fly to Florence Italy airport directly. This particular station opened up in 1935, so it’s got well over 80 years of being on this planet; it just goes to show you how efficient the builders were back in the day! There’s a grand entrance hall that’s sure to leave your mouth gaping, regardless of whether you were looking specifically for it or not. They operate from 6 AM to midnight, so there’s plenty of time to catch every single train you might find yourself needing. The location is: Piazza Della Stazione, Florence; most airports have a train that runs directly from their tracks to the Santa Maria Novella (that’s how popular of a train station it is). The city trains that also make use of this station share the likes of Milan, Naples, Pisa, Venice and Rome (among others). Check out the train schedule here. In Florence Italy Train Station they have plenty of tours and packages available to tourists, which is something you might want to look into if you just came to the city without a plan. Florence Italy train station also offers luggage storage for you to just walk around Florence without having to worry for your bags. Not everybody is aware of their surroundings, so making the most out of a vacation can be tough. Sometimes all you need is a map, but these are there for the taking as well. The station’s got a modern twist to it (as far as design goes), but the Santa Maria Novella train station still manages to keep its “old-timey” vibe intact. There’s a large metal and glass roof over top of everything, so just looking up can be a treat in itself while you’re at the SMN. Like most other large train stations, there’s shopping to be done in the SMN, too. There’s the Margherita supermarket (which is about a one-minute walk away from the SMN station), which is a chain store dedicated to providing people with groceries. There are stores in the train station itself, there’s a pharmacy, a bar, a “Chef Express” and McDonald’s for those who want to get a quick meal, you can find international newspapers and souvenirs of Florence. Then, going downstairs, there is a commercial gallery with more services. You can also go about exchanging your currency at the SMN, leading us to believe that you can do pretty much whatever you need to at this Florence Italy train station (within reason, of course!). 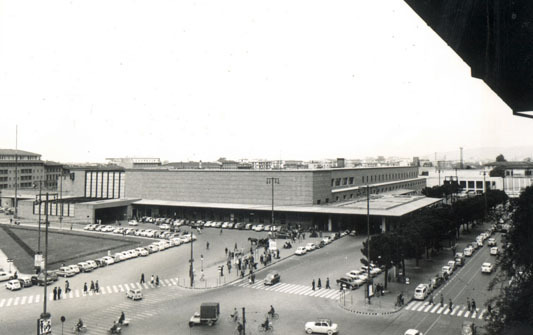 The other active train stations in Florence Italy are Firenze Rifredi and Firenze Campo di Marte. 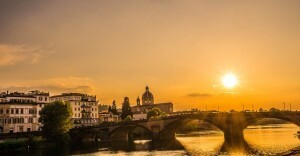 Firenze Rifredi is in the North-Western part of the city while Firenze Campo di Marte is on the Eastern side, and is very close to the stadium of Florence, used for soccer games and for concerts during the Summer.